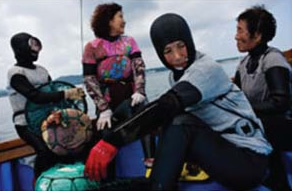 Each day, the Haenyeo - the women divers of Jeju Island near Korea - disappear beneath the sea, hunting for octopus, sea urchin, seaweed and shellfish. These grandmothers are part of a diving tradition that dates back hundreds of years. A craggy volcanic island in the Pacific, where 70-year-old grandmothers dive up to 65 feet underwater … hold their breath for minutes … and bring up treasures from the sea. Each day, they walk down to the ocean's edge wearing nothing more than a wet suit, fins and goggles, and plunge into the cold sea. They disappear for minutes and return to the surface with octopus, sea urchin, seaweed and shellfish. They are called the Haenyeo - the "mermaids" of Jeju Island, just off the coast of Korea. They're part of a tradition that dates back hundreds of years. And surprisingly, it's only older women who do the diving. Their age ranges from 58 to well into their 70s. Yet their energy and fitness allow them to make a living out of harvesting the sea floor … free diving to depths of 65 ft. without any oxygen tanks. No doubt daily exercise and a high protein diet help with their remarkable stamina. But they have another secret up their sleeve, too. A nutritional powerhouse that, until recently, was practically unknown outside of this small Korean community. The mermaids of Jeju Island — and the active elders in their community — all include a special type of brown seaweed in their diet. Lots of it. It's called ecklonia cava. And when scientists looked closely at this brown seaweed, what they found astonished them. Ecklonia cava is an edible brown seaweed that grows deep in the pure ocean waters off the coast of Korea. It contains unique and very powerful antioxidants not found on dry land. Now it's available as a concentrated extract called Alginol. This brown seaweed had another big advantage, too. Most land-based antioxidants are water-soluble. That means they have a hard time crossing the blood-brain barrier to protect your brain cells. But ecklonia cava is fat-soluble as well as water-soluble. Which means it can penetrate the membranes of your brain and nerve cells to give them the protection they need. For Healthy Blood Viscosity: When your blood is too thick, it can make your circulation sluggish. That makes your heart work harder.7 But ecklonia cava helps improve the viscosity of your blood by balancing plasmin and fibrin. These are the natural thinning and thickening agents in your blood. Could This Be The Most Powerful Antioxidant On Earth? Ecklonia cava has a unique molecular structure that gives it a big advantage over land-based antioxidants. You see, the power of an antioxidant depends on its structure, which is made up of rings. 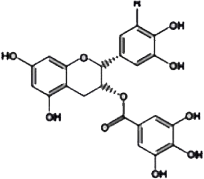 Antioxidants use these rings to capture rogue electrons and neutralize free-radicals. The more rings, the better it works. But ecklonia cava has 8 interconnected rings. Making it a veritable electron-trapping, free-radical killing machine! Do you ever misplace your car keys or eyeglasses… forget names … or have "senior moments"? 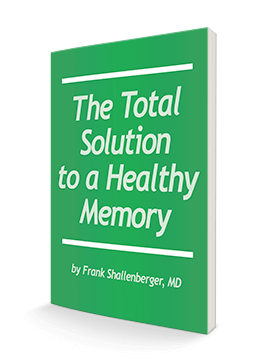 Do you want to keep your memory sharp as a tack for life? Since ecklonia cava can cross the blood-brain barrier, it has a unique ability to nourish your brain and memory. In another study, it increased alpha waves in the brain. Alpha waves promote mental sharpness and enhance your overall sense of calmness and ability to complete tasks. Ecklonia cava also has the amazing ability to soothe your stiff joints. It does so by reducing COX and LOX enzymes. These enzymes can get out of whack due to stress, injury, infection and toxins.12 When they do, they can trigger inflammation, joint pain and discomfort. Ecklonia cava does more than work on COX-2. 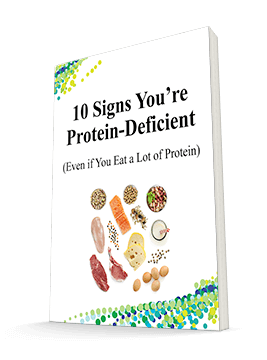 It also inhibits another damaging enzyme called MMP-9. This enzyme actually eats away at your collagen, the primary building block of the cartilage in your joints. That's 66% more ORAC protection in a single capsule! Scientists measure the power of antioxidants with something called the ORAC score. The more free radicals a substance traps, the higher the ORAC score. Nutritionists say we should consume around 5,000 ORAC units a day to reduce free radical damage. One serving of most fruits and vegetables (half a cup), gives you roughly 500 ORAC units. So you'd have to eat roughly 5 cups a day. But Alginol with ecklonia cava has an ORAC score of more than 8,300. That's like getting your entire day's worth of antioxidants in a single capsule! Yet clinical studies show that ecklonia cava reduces MMP-9 by an impressive 80%! That means less pain, less stiffness, and more mobility for you. Last year's flu shot didn't do much to protect those over 65 from getting sick. Even the Center for Disease Control (CDC) admits it only helped 1 out 4 adults over age 65 from getting the flu. Ecklonia cava can boost your immune system and help to protect your from colds and flu. It contains a substance called fucoidans. Fucoidans have been shown to protect against 3 different kinds of the flu. In a double-blind, placebo-controlled study, men and women over 65 took a supplement with fucoidans. By the end of the study, they had boosted their immune systems and had more infection-fighting "T cells." They also had half as many sick days. My friend Jack R. had a long-term problem with his blood sugar. Jack followed strict dietary suggestions. He took supplements. He even eliminated his craving for sugary coffee. But Jack still had morning blood sugar in the range of 140 mg. But within two weeks of using ecklonia cava, his blood sugar plummeted to an average of 100 mg! What's more, his blood sugar rapidly normalized after he "cheated" once and ate wedding cake. Before taking ecklonia cava, that would have sent his blood sugar skyrocketing. You probably know that high blood sugar can lead to all sorts of health problems. One of them involves an enzyme called aldose reductase. When your blood sugar gets too high, aldose reductase converts some of the excess glucose into something called sorbitol. Sorbitol can build up in your eyes and nerve cells and damage them. But ecklonia cava is a potent inhibitor of aldose reductase. So if you have high blood sugar or the pre-condition that leads to it, this is one supplement you want to consider using. New research shows that a pigment found in ecklonia cava — called fucoxanthin — can even help you maintain a healthy weight. 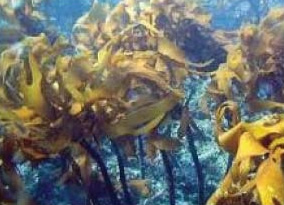 Fucoxanthin gives brown seaweed its distinctive brown color. You won't find it in any other type of edible seaweed. 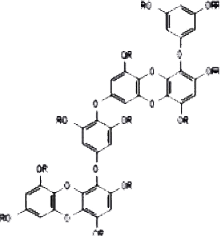 Researchers found that fucoxanthin fights fat in 2 ways. First, it stimulates a protein which causes fat to break down. That's good news for fighting abdominal fat — the most problematic fat. Second, fucoxanthin helps your liver make more DHA. DHA is an omega-3 fatty acid that helps reduce LDL (bad) cholesterol — which contributes to weight gain and heart problems. So along with a healthy diet and moderate exercise, ecklonia cava can also help you get rid of belly fat. Younger-Looking Skin and Appearance. Ecklonia cava is a sun-blocker. It can protect your skin from harmful UV rays from the inside out.15 It also blocks an enzyme that creates wrinkles. So your skin feels smoother and younger. Helps Detoxify Your Body: Brown seaweed preparations are rich in iodine and other trace minerals that help to flush toxins out of your body. Beats Fatigue and "Mystery Pains:" Are you one of the 10 million Americans who suffer from unusual muscle pains and excessive fatigue? In a double-blind study, people suffering from these symptoms took ecklonia cava for 8 weeks. They reported 31% less pain, 71% more energy, better nighttime sleep, and more "good days" per week. Are you starting to see why ecklonia cava should be part of your daily plan to protect your heart, arteries, nerves and brain? Advanced Bionutritionals has looked far and wide to find a trusted source of ecklonia cava to guarantee purity, potency and correct dosage. Advanced Bionutritionals found it in a little-known South Korean company. Scientists from this company spent $39 million researching a precise extract of ecklonia cava. They call it Seanol®, and it's the form used in nearly all of the research studies. 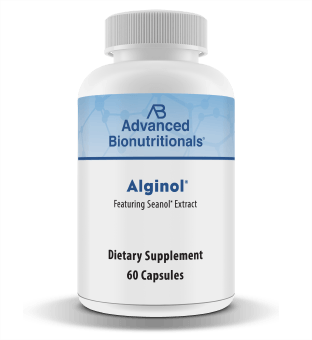 Advanced Bionutritionals now offers Seanol to you in a supplement called Alginol®. Each daily dose of Alginol gives you an impressive 800 mg of ecklonia cava extract. That's almost triple the amount used in some of the clinical studies. And it's 11% more than the other leading brand. Yet you pay the same low price — just $39.95 for a one-month supply. But you don't have to pay that much! Thanks to a special discount available with this report, you can pay as little as $33.25 per bottle. Other ingredients: Dextrin, vegetarian capsule, (vegetable cellulose, water), cellulose, silicon dioxide, and magnesium stearate. **Seanol® is a registered trademark of Simply Healthy, LLC. Alginol has been studied by researchers and doctors for more than 15 years. There have been dozens of clinical studies in the U.S., Japan, and Korea and over $35 million in research. Patients have taken tens of thousands of doses, with no serious adverse events. What's more, Alginol is a "superfood" — not a pharmaceutical or synthetic product. People in Asia have been eating brown seaweed for centuries. It's easy to order Alginol. Just click here to fill out the secure online order form. Or call us toll-free at 1-800-791-3395 (24 hours a day, 7 days a week). Once we receive your order, we'll rush it right out to you. To give your body time to get the full effect, we suggest you take advantage of our 3-month value pack. You'll receive enough Alginol for 90 days and save $9.90 off the single bottle price. Or better still… order a 6-month supply. You'll save $30.00 off the single-bottle price. As with every Advanced Bionutritionals product, you're completely covered by our guarantee. If at any time you're not satisfied with Alginol, just return the empty bottles within 90 days of your purchase for a full refund of every penny you paid, including shipping and handling. You only pay return shipping. This super-antioxidant from the sea can help you stay active and healthy. You know, I've had patients come up to me and say, "Dr. Zand, I've started taking Alginol and my energy has gotten better… my mind seems sharper… my joints feel better… and I feel great!" Now it's time to experience these benefits of Alginol for yourself and live life to the fullest. And remember… if you don't feel the difference after trying Alginol® for 60 days … it's FREE. Even if you've finished the last capsule. So order your supply today! P.S. Alginol contains pure ecklonia cava extract. It's an absolute authentic super food! I'm a big proponent of Alginol for myself, my family and my patients. P.P.S. Remember, you can try Alginol for as little as $24.95 a month with this special invitation. And get FREE shipping, too. And with our Down-to-the-Last-Capsule Guarantee, you don't risk a cent. So order yours today! Please follow this link to order, or call 1-800-791-3395, 24 hours a day 7 days a week. ACT NOW! Order Your Alginol Today!